Portable water cooler Spirit distillation, still's cooling system. 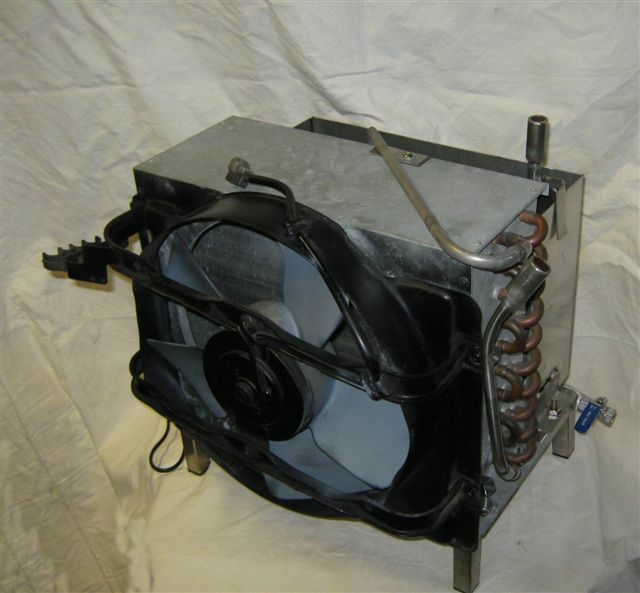 This page describes some technical aspects of the radiator based water cooler. The portable water cooler/supplier that was build for home brew distillation was literally made out of junk parts collected from the local junky yard for a few bucks. 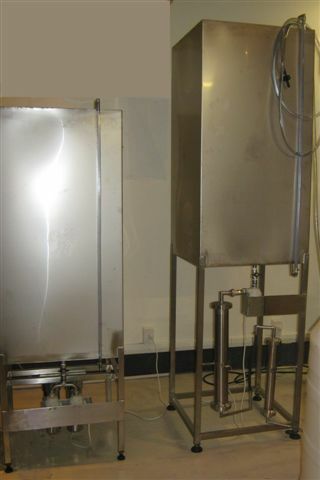 The machine was built with one simple thought in mind - to make it possible to distil without dependence from main water supply and also when the water consumption is limited, thus this cooler can operate with as much as 6L of water that enough to carry on many distillations in the row. 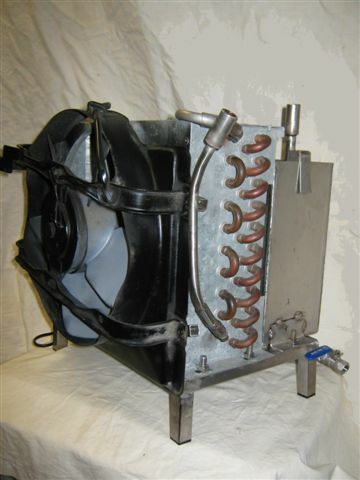 The cooler makes it possible to save the precious water, thus for example to make one wash load for 25L still will take 14L of water, but to run a complete distillation will take over 200L of water and if this water is coming from a tap and going from still directly to the drain then it is more than wasteful. 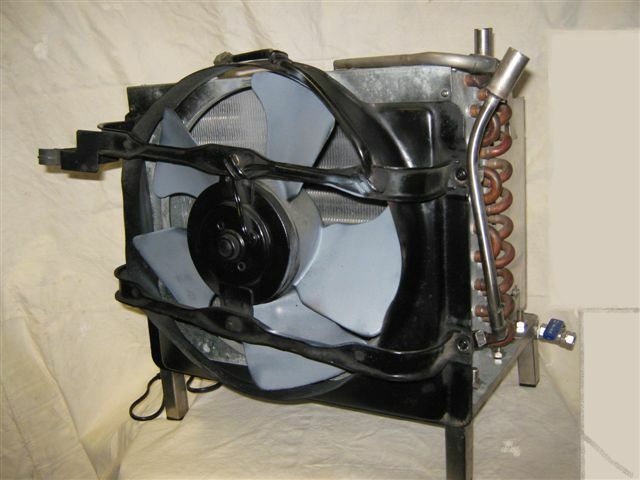 So this cooling device is doing its job and more detailed information with step by step photos of construction process will be soon included to one of still construction manuals.